VPS K Hosting > kvchosting.net, #19997, USD 24.99/mo. 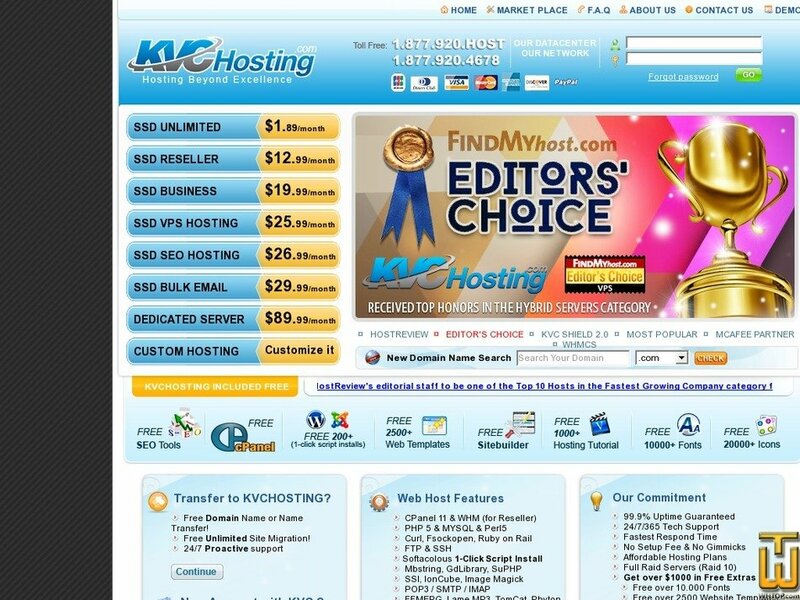 See also original VPS K Hosting plan location on their website! VPS web hosting is considered the most in-demand among available web hosting plans. Our VPS K, V and C Hosting offers Cpanel Control Panel. With VPS hosting, you will not have to worry about other people abusing the server or any other issues because VPS web hosting is designed similar to dedicated hosting, where you can reboot your services or even server any time you want. VPS web hosting also has guaranteed memory which only you, as owner of the VPS web hosting may use, without having to share with other VPS hosting clients.